The Milwaukee M12 battery and the Milwaukee M18 battery are unparalleled when it comes to reliability and run time. Designed to be compatible with all tools and accessories in the Milwaukee catalogue, they are relied upon the world over by professionals in trade and by DIY fanatics. 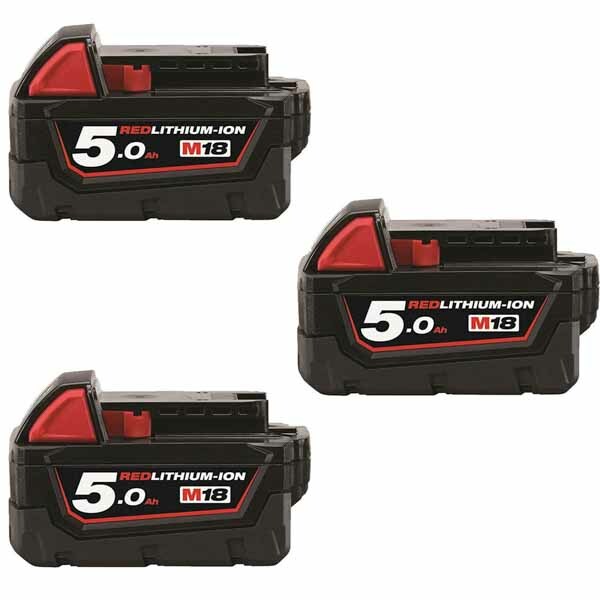 REDLITHIUM technology is a trademark for Milwaukee batteries and holds the secret to the outstanding performance that they are renowned for. The Milwaukee 12v battery and the Milwaukee 18v battery are at the heart of the Milwaukee Fuel system, driving the POWERSTATE brushless motors and the REDLINK PLUS Intelligence Hardware and Software. Charging Milwaukee batteries is quick and easy, so getting the job done on time is child’s play. Just slot the battery into a Milwaukee battery charger and an hour later the battery is good to go. For best practice, rotate two or more Milwaukee batteries for use with multiple tools or for back-to-back usage. Milwaukee chargers are safety protected and so there is no chance of overheating or overcharging. With an output of 12v, the Milwaukee M12 battery is compatible with the more compact range of Milwaukee power tools and can be charged using either the C12C charger or the M12 Rapid Fast Charger. An output of 18v means that the Milwaukee M18 Battery is slightly more powerful and is compatible with the larger range of Milwaukee power tools. Use the M12 Rapid Fast Charger to refuel these batteries or any other batteries made by Milwaukee. 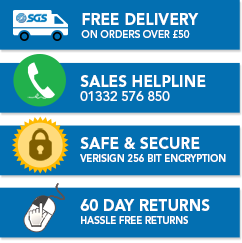 Check the type of battery or charger required before placing an order with SGS Engineering to ensure you get the right one first time.